LED brake light bulbs give your Honda Civic Wagovan that complete look you were looking for. We are your LED brake light bulb factory direct supplier. 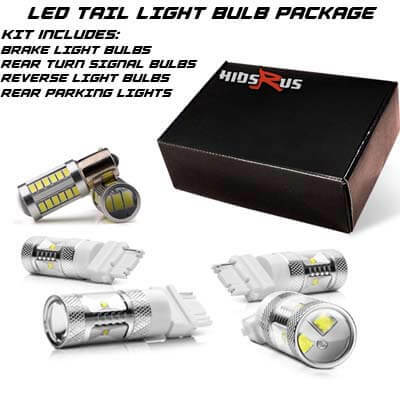 Hidsrus.com sells Honda Civic Wagovan LED brake light bulbs at factory direct prices. Choose from red, white, clear, and amber. LED Honda Civic Wagovan bulb colors. There are no special tools required for your Honda Civic Wagovan everything in the LED brake light bulb conversion is plug and play. Your Honda Civic Wagovan LED brake light bulbs produce a higher output of light while consuming less electricity and higher efficiency than halogen bulbs. LED brake light bulbs are great for Honda Civic Wagovan daytime running lights, plus they are amazing in the worst driving conditions. We warranty Our LEDs for 2 years with an optional lifetime warranty at an affordable price. You'll be getting genuine LED brake lights, no cheap imitation for your Honda Civic Wagovan! Nothing could be clearer than buying LED tail light bulbs for your Honda Civic Wagovan from Hidsrus.com we have the right price and warranty for you.